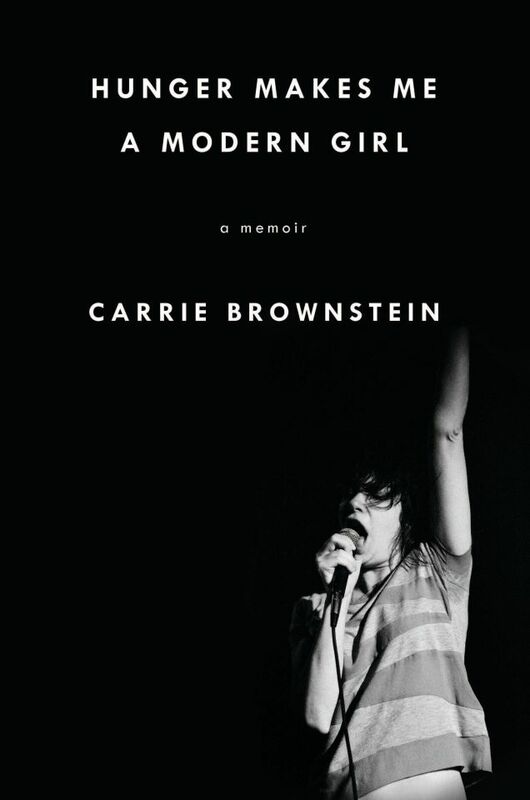 Yesterday morning, Jezebel.com premiered the cover of Sleater-Kinney guitarist Carrie Brownstein’s highly anticipated memoir, Hunger Makes Me a Modern Girl. Spotlit in striking black-and-white against the jet-black background, Brownstein’s triumphant stance and defiant scream into the microphone provide an extremely fitting visual for her explosive career. She is best known for her innovatively unconventional take on the electric guitar, as well as her affinity for hipster-centric sketch comedy on the indie hit Portlandia. But, c’mon. Those are only her most well-known projects. Brownstein’s less mainstream endeavors are just as impressively diverse– she has starred in a number of indie films, collaborated with some of alt-rock’s greatest, and played a notable role in the “riot grrrl” movement of the early 1990’s. Hunger Makes Me a Modern Girl promises to delve not only into these aspects of Brownstein’s career, but into the facets of her upbringing that preceded them. The official description, posted by Riverhead Books, promises an “accessibly raw, honest and heartfelt” memoir that “captures the experience of being a young woman, a born performer and an outsider, and ultimately finding one’s true calling through hard work, courage and the intoxicating power of rock and roll”. Out on October 27th, 2015 from Riverhead Books.